Be the first to hear about their new releases and deals. Download the Booksprout app and search for Janelle Denison today! 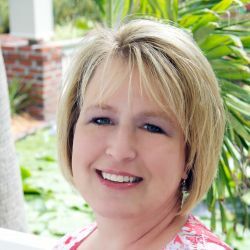 Janelle Denison is a USA Today bestselling author of over fifty sensual contemporary romance novels who has written for Harlequin Blaze, Kensington Brava, Berkley and St. Martin's Press. She is a two-time recipient of the National Reader's Choice award, and has also been nominated for the prestigious RITA award. Originally a California native, she now calls Oregon home. She resides in the Portland area with her husband and daughters and can't imagine a more beautiful place to live. When not writing, she can be found exploring the great Northwest, from the gorgeous beaches to the amazing waterfalls and lush mountains.